The Tim Clark Band bills itself as the Carolinas’ premier dance, shag, rock and party experience. But next Thursday in Rockingham, the Myrtle Beach, S.C.-based group might be outdone by younger talent in the season-opening 12th annual Plaza Jam Series. 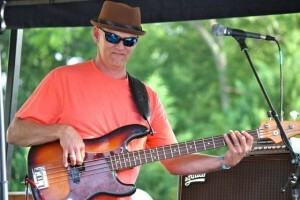 Jim Quick and Coastline, seen here on stage in June 2014 at Cole Plaza, will return during the 12th annual Plaza Jam Series in Rockingham. Rockingham Mayor Steve Morris has proclaimed Thursday, May 7 as Rockingham Middle School Chorus Day in recognition of the group’s trip to Walt Disney World. Last month, 96 members of the Rocket Choir soared to Disney gold by winning their competition bracket at Festival Disney. The middle school choir will perform at 7:30 p.m. on May 7, midway through the Tim Clark Band’s two-hour set at Cole Plaza, located between City Hall and the Thomas Leath Memorial Library in Rockingham. The Rocket Choir excelled at Festival Disney under the direction of Lauren Lutz and former choral director John Tyson, who transferred to Richmond Senior High School to take the place of the retired Debbie Price. 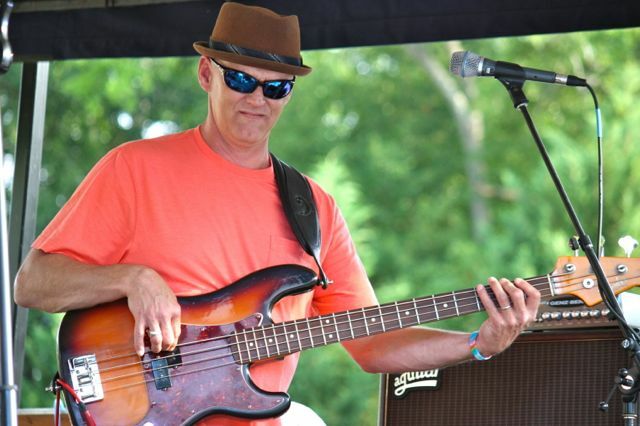 After the Rockets perform, of course, the focus will return to the Tim Clark Band and the rest of the 2015 Plaza Jam Series lineup, which includes two new additions. Talent returning from last year’s schedule include Jim Quick and Coastline, The Tams, Too Much Sylvia and the Band of Oz. New to the six-night circuit are the Tim Clark Band and the Rick Strickland Band. Each free concert runs from 6:30 p.m. to 8:30 p.m. on the first Thursday of the month from May through Oct. 1. The series is funded by the Richmond County Tourism Development Authority. In 2014, the TDA gave the series $22,500, making it the second-highest funded attraction or event behind the Rockingham Dragway ($45,000) and ahead of Discovery Place KIDS ($20,000), the Richmond County Outdoor Agri Expo ($6,600), the USLMRA Sta-Bil National Points Race lawn mower racing event ($6,000) and the Rockingham Farmers Market ($5,040). The Richmond County TDA is fully funded by hotel/motel tax revenue. The county and city split equally a 6 percent tax on each night’s hotel stay. The TDA is governed by a seven-member board chaired by County Manager Rick Sago. The board is comprised of four members appointed by the Richmond County Board of Commissioners, two by Rockingham City Council and one from the Richmond County Chamber of Commerce. The TDA operates on an annual budget of approximately $225,000. The city of Rockingham joined with the Marine Corps League Detachment Chapter 1252’s Toys for Tots campaign last summer to raise funds and increase donations for a group that distributes toys to low-income children across Richmond County. The partnership was a first in the 11 years of the series. This year, the city has joined with Our Daily Bread Christian Food Ministries on South Randolph Street in Rockingham. The group helps provide food to the hungry. Our Daily Bread representatives will bring boxes out to collect voluntary contributions of canned goods. They’ll also accept monetary donations, Williams said. “We’re not set in stone, but if it works out real well,” Kim Williams said the city would stick with Our Daily Bread in 2016. Williams said the bands helped promote the cause by sometimes offering freebies to those who made donations.